Interior Features Beautifully decorated with crown molding corian counters, extensive tile in and out. Three bedrooms and 35 ft porch overlooking the Indian River Lagoon across from the Pelican Island National Wildlife refuge. 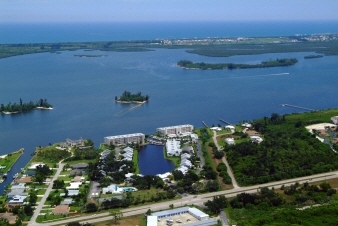 Inside parking, marina, lake, pool clubhouse, tennis...all just minutes from the sebastian Inlet and our beautiful uncrowded beaches.